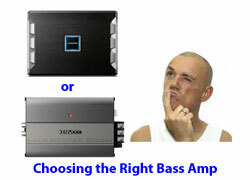 So, you’re beginning the process of choosing a car bass amplifier for your new subwoofer system. Your friend said you need at least 1,600 watts and his system sounds great so you shop around. You look at all kinds of amps at different prices. You’re wanting those watts but your wallet has only so much bucks to spend and you’re confused. How do you pick out the right amp? It’s tough, especially because there’s no real way to compare car amps to one another based on what they say, and the sales people just want to sell you what they want or they don’t really know any more about it than you do (you think). So what do you do?. . 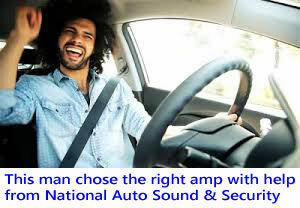 . .
Of course I can just say “Come to National Auto Sound and Security where the sales people really do know what they’re talking about and no one will steer you wrong.” But I won’t say that. Instead I’ll try to explain what to be aware of to make a good choice. First, realize that there exists the “the big lie” in advertising amp power with many brands of amps. Did you know that in car audio it is actually legal (no federal laws prohibits it) for the manufacturer to lie or deliberately mislead you about the power output of their amplifiers. Many o them do this and some brands do it with such exaggeration that it is laughable if you happen to know what is going on. Why do they do this? It’s simple. The bigger number of watts they can print on the the packaging and on the amp, the more likely you are to buy it! So how to begin? Realistically, you need to take into account everything; the power amp, the woofers you are using or still need to buy, and the box (because all boxes are not the same). Also, don’t forget the installation, or the install parts you will need. In our store we begin by finding out what result you want and what king of woofers you intend to use. on killer subwoofers that cost $300 each if you only have $150 to spend on the amp. But you say “The amp says 2000 watts. Isn’t that enough to drive my subs that are rated at 1000 watts each?” No! Remember that these manufacturers routinely over-rate their car amp power output specs, especially in the lower price ranges or with the non name brand amplifiers especially the brands you see at flea markets or in pawn shops or online on some sites. These amps are especially likely to be vastly over rated. As an example, we sell a mono bass amp in a promotional brand that says 1600 watts on it and it sells for under $120. Great deal, right. Yes and no. It’s a good amp for an entry level bass system if paired with the right subs and box, but it won’t come close to driving those expensive subs. Why? Because amps in that price range, regardless of the rating printed on the box actually put out far less than they say. This amp, which can sound good in the entry level bass system puts out somewhere around 75 to 125 real RMS watts per channel. While that’s not a big number, it is actually enough to make affordable subs sound good and beat relatively hard in an economical system. So while you won’t have 1600 real watts, you will have a decent sounding bass system for a budget price if you’ve properly matched your woofers to your amp and bass box. But it takes experience and intelligence to match the products up right. Most customers will make a mistake doing it or will think that this cheap amp should sound like a real 1600 watts. You don’t get something for nothing. How is the buyer to know how much power the car audio amplifier actually puts out? Sometimes these car amps are independently rated in magazine articles or in on-line articles, but mostly not. Even online forums may be misleading because one person’s experience won’t necessarily apply to your circumstances and you won’t have enough knowledge to know that. 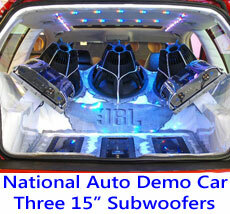 That’s why seeking the advice of experienced car audio professionals will make a difference. If the car audio manufacturer is a reputable name brand, then the RMS power ratings are fairly accurate. This makes choosing a car bass amplifier easier. However you will have to read the fine print. Often it is the max ratings that are printed on the amp. Max power ratings are made up figures strictly for advertising purposes. You can assume that many 1000 watt amps put out 75 to 250 real rms watts per channel, and the same for 1600 watt amps. We even have some manufacturers who put 3,000 watts max or 4,000 watts max on their car amps that sell for between $150 and $200. These amps are usually also in the same real power range of 100 to 200 real rms watts per channel, often have small fuses or even fake fuses that don’t do anything but mislead the customer into thinking the amp handles more current than it does. The only difference is some of these amps may be physically larger in size (even though the electronic parts inside the amp take up only a fraction of the available space, the rest of the space being empty! ), have neater graphics, and portray the myth that they are more powerful when they’re not. Crazy. The buyer assumes he is getting a super deal and a really strong amp but he isn’t. Sorry Charlie. It ain’t happening. 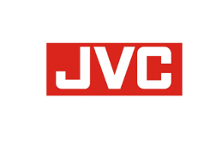 In our store we will give you real world info as to how well the amplifier you are thinking of purchasing from us will work in your system based on our experience with installing it in many other systems. If you need 1,000 watts per woofer to make them hit hard then that’s what we’ll show you. We always recommend an amp we know will work best based on the subs, box and vehicle you have. That’s what working with experienced car audio pros like us will give you. You can’t pick that out of a catalog. How many watts does it take to get good car stereo bass? For beginning lower priced systems you can actually have good bass for the lower power ranges of 70 to 125 rms watts per channel even though most of these amps will say 300 to 1,000 watts on them, as long as the woofers are the right ones for the situation and the sub box is the right design to maximize power output. These are things we help you with in our store. For stronger and louder bass systems, power goes up quickly. That’s because the human ear responds to sounds in a logarithmic way. That’s a mathematical way of saying that if you want to double your volume, you will need to quadruple your real rms power output. It is a car stereo industry acceptable standard that a noticeable or significant increase in sound or bass volume requires a doubling of your real output power! Even though the max rating may say 2,000 watts on your amp, if you have only a real 150 watts rms power per channel, changing to a 200 watt rms car amp (that says 3,000 watts on it) won’t help you much especially for the money you’ll spend and it’s not likely to be louder. Choosing a 300 watt rms per channel amp or a 600 watt mono rms car amplifier will double your power and give you a significant increase as long as your choosing a good brand. Obviously, we carry lots of amplifiers. There are differences in brands and amplifier design. Our experience in using and installing these car amps is the best way to get advice on making the right choice. This is a lot different than picking the amp because its price is cheap online or deciding on an amp because your friends have it. For doubling your volume you’ve got to quadruple the output power. If you have a 300 watt mono bass amp this means going with a real 1200 watt rms amplifier to get the desired increase in volume. This will be a big jump in price, will require much stronger subwoofers, maybe a different bass enclosure and may require some upgrades to your charging system, like an additional car battery in the rear next to the car amplifiers. There are other ways of improving sound and increasing volume. Different woofers, a different bass enclosure or subwoofer box design, a charging system upgrade with heavier power cable, extra battery can all make a difference. These are all things we can help you with in our store. 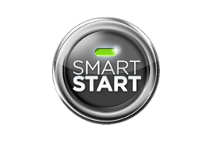 We can quickly determine which course of action is likely to bring the biggest benefits for the least cost to you. In short, the more bass power the better as far as increasing volume goes. Picking the best amp for the job depends on real power output, the type of sub woofers being uses, your box design and the vehicle. 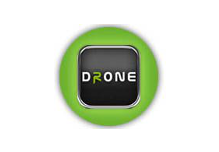 These are all factors that an experienced store will take into account in making recommendations. If this makes you feel like you could use a little help, it should. That’s what car audio pros like us do for a living. 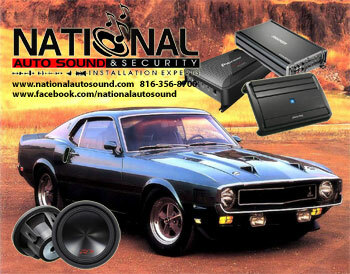 We solve peoples’ car audio sound problems. If we don’t do a good job, you won’t be back. How does that help either of us. 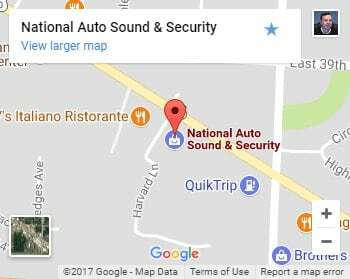 National Auto Sound & Security has a well earned reputation from many years of helping customers like yourself make the right purchase in choosing their bass amp and subs. We would like the opportunity to help you too. Please stop in. We’re here to serve you. Learn More about Making The Right Choice. View Other Articles on Our Site.